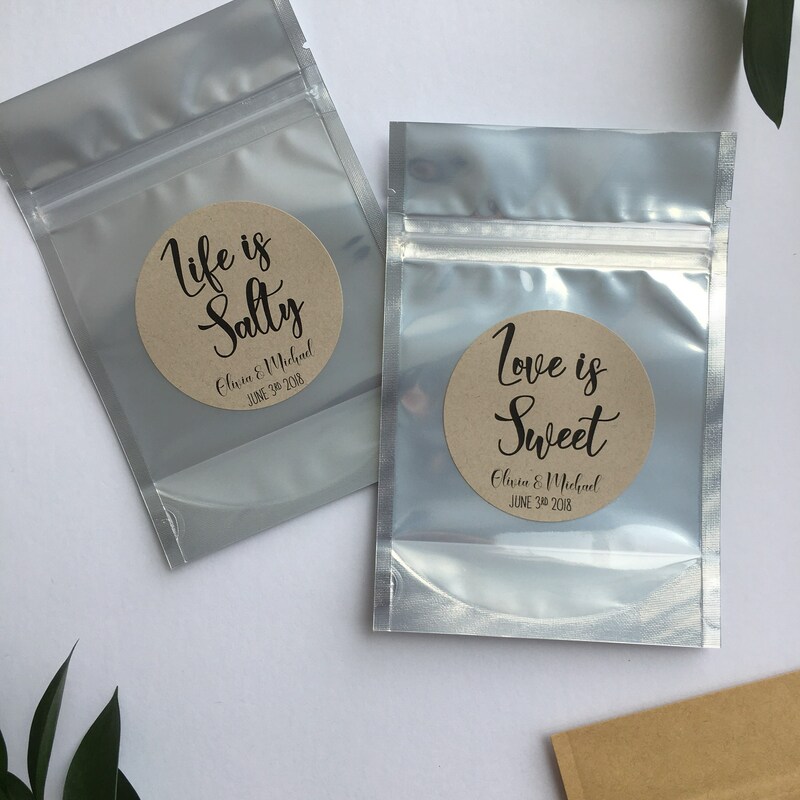 Life is Salty & Love is Sweet! 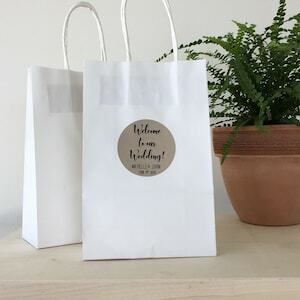 - (Set of 10) - Wedding Favor Treat Bags - Food Safe - 4 x 6 - Free Shipping! 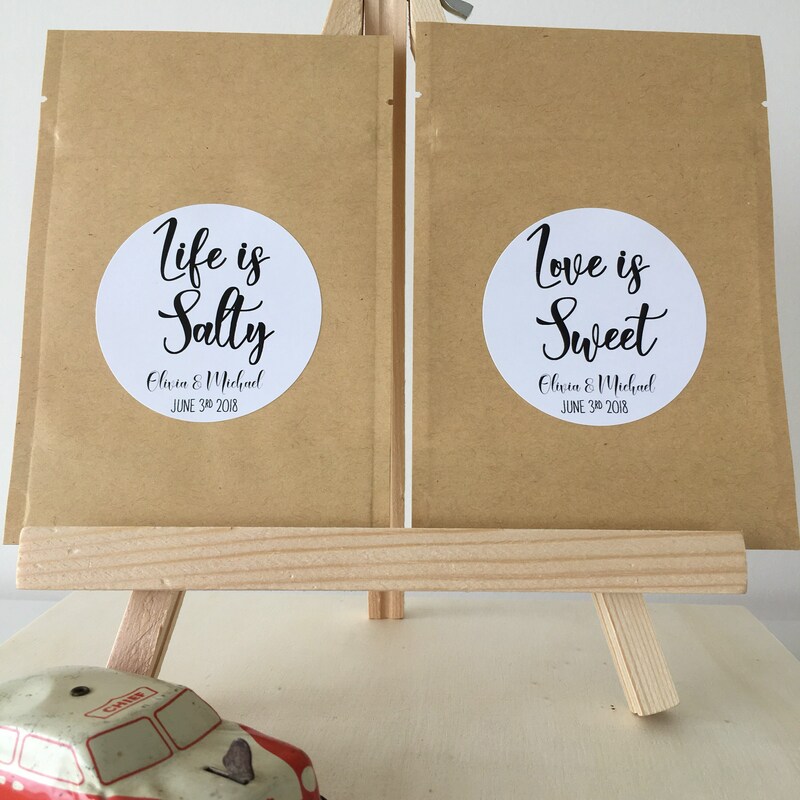 Life is Salty & Love is Sweet! 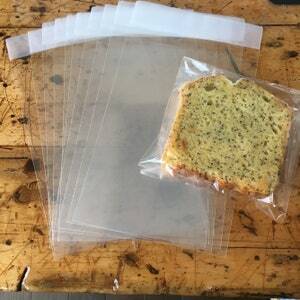 - (Set of 10) - Wedding Favor Treat Bags - Food Safe - 4 x 6" - Free Shipping! 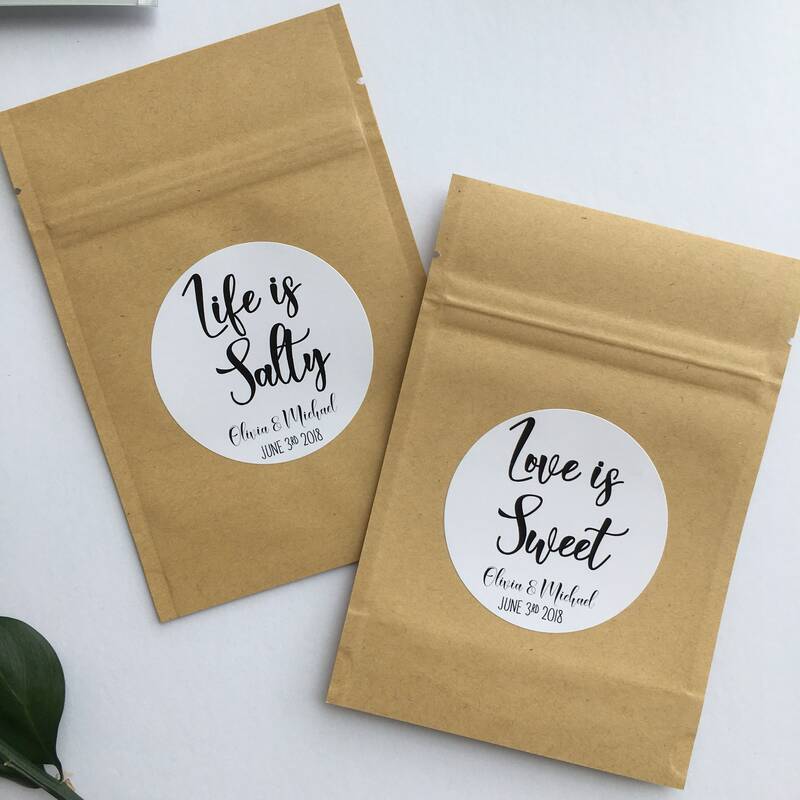 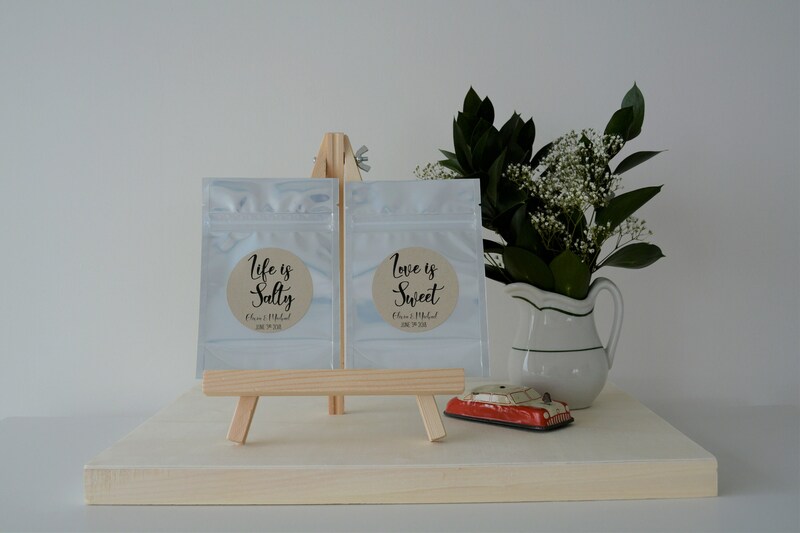 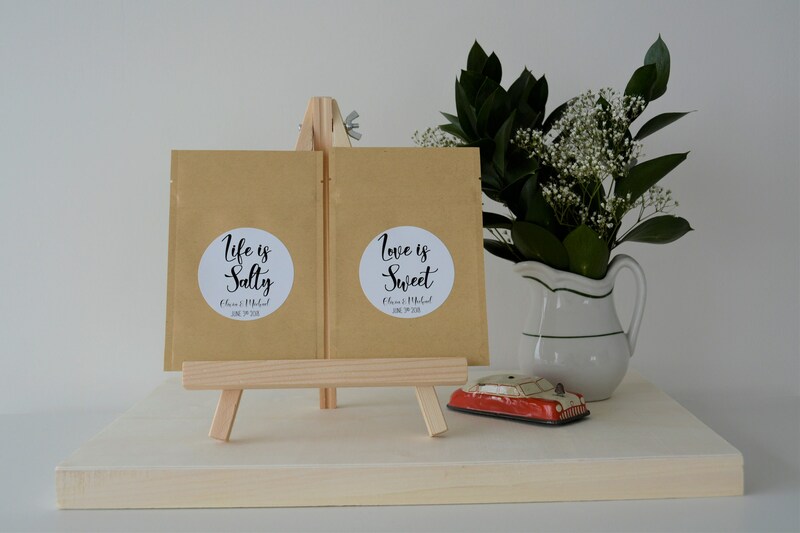 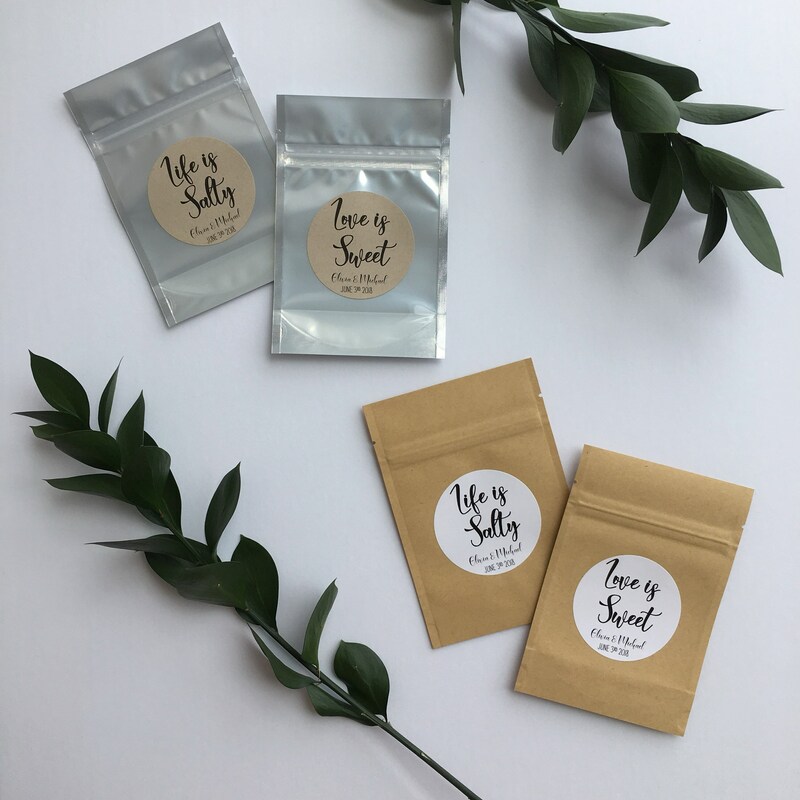 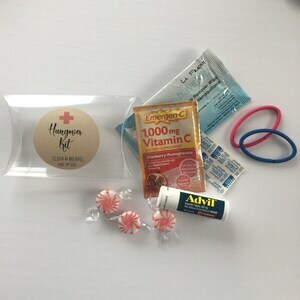 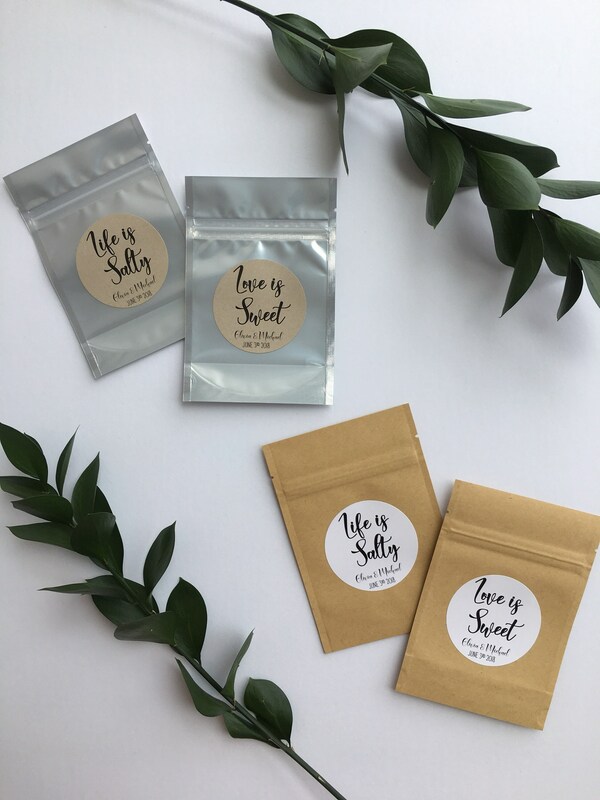 Wedding favor treat bags featuring the saying "Life is Salty” & "Love is Sweet"
Each set will feature 1/2 of the Salty and 1/2 of the Sweet bags. 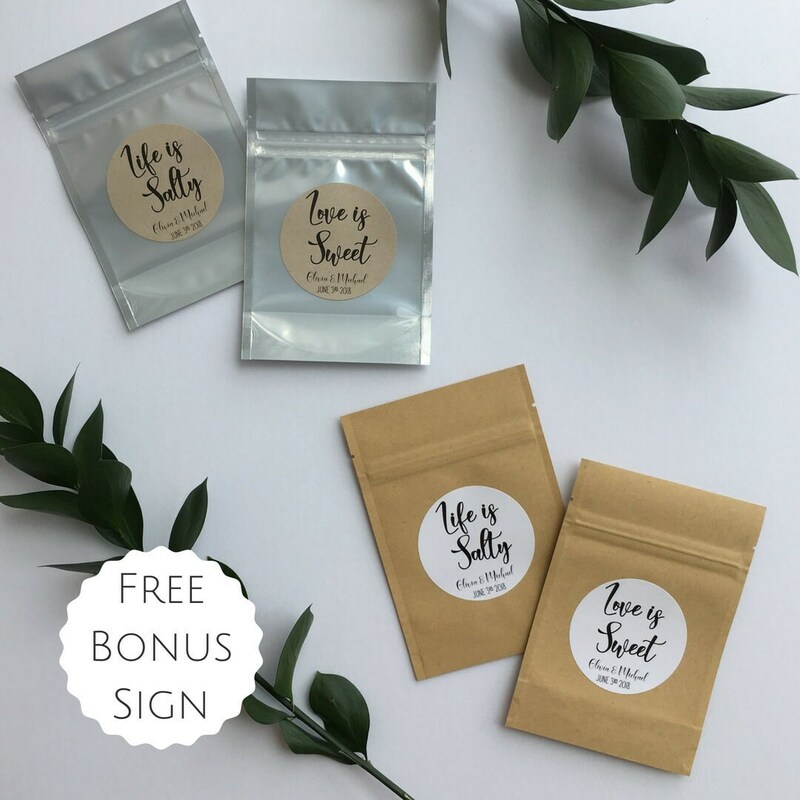 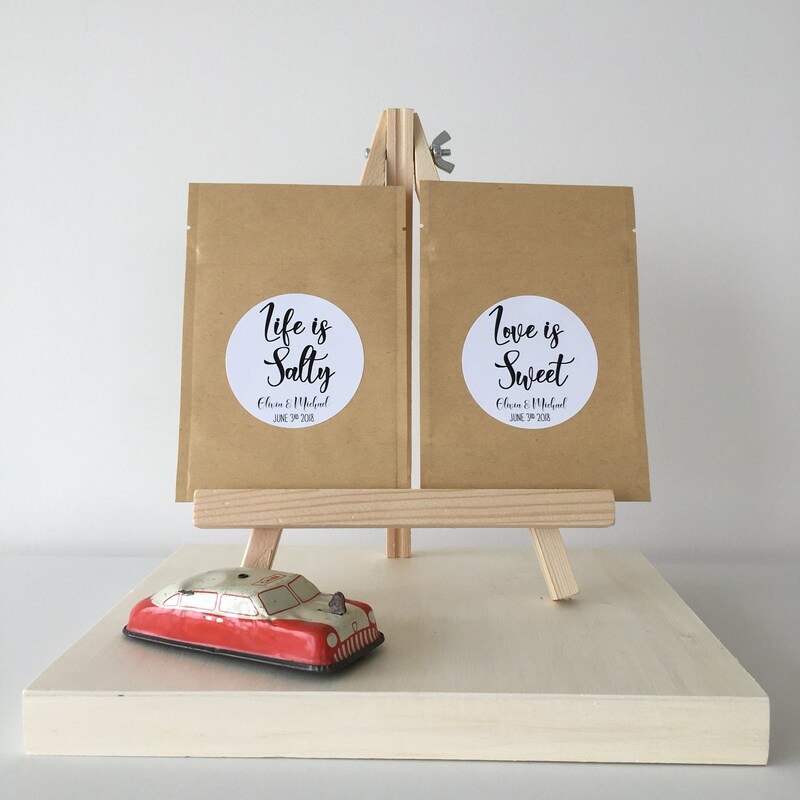 For example if you're ordering a set of 10 bags 5 will have the label "Life is Salty" and 5 will have the label "Life is Sweet"